"Warm, inspiring and informative, Homes & Antiques is the must-read glossy for people who love great design and beautiful objects from every era. At Homes & Antiques we celebrate great design and beautiful objects from every era and show you how to live with the best of old and new. 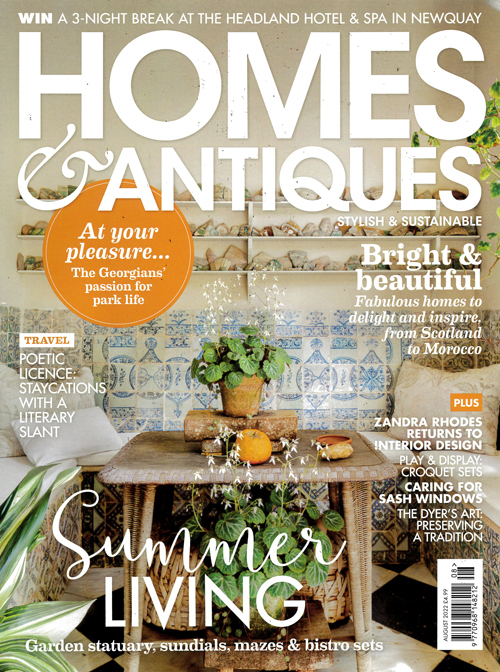 Alongside our rivalled guides to antiques and collectables, written by some of the country´s leading experts, you´ll find inspiring real interiors, fresh style ideas and a range of features that reveal the fascinating stories behind antiques" Published in English - Monthly. Allow 6-10 weeks for initial delivery.